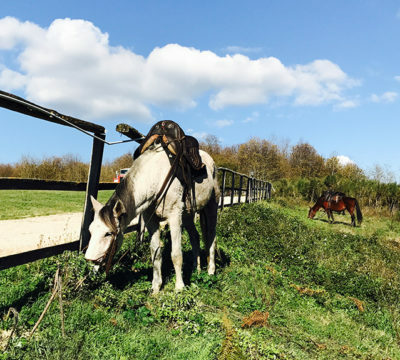 Equiazione is a no-profit organization that works with horses and disable people in Rome and in Castelli Romani regional park. We believe that wellness starts from accepting diversity and building balanced relationships with others. 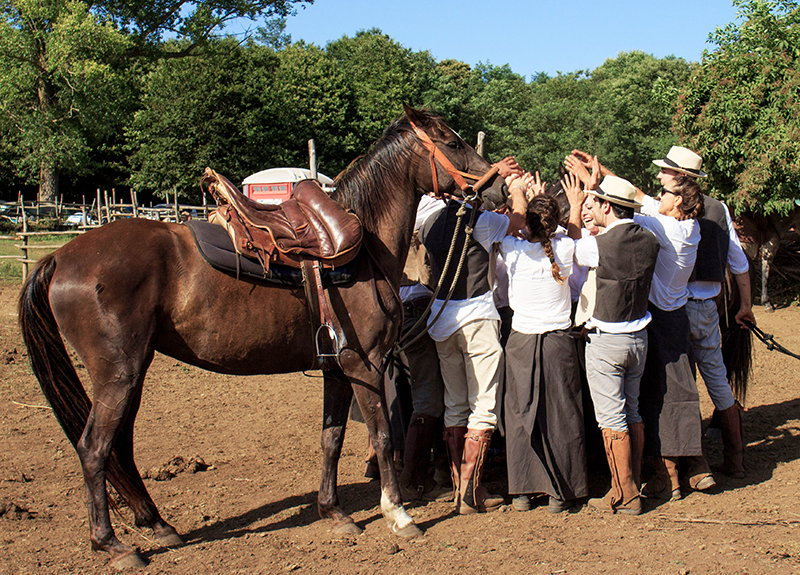 For this reason we promote an open approach to people and nature, starting with a new relationship with horses. 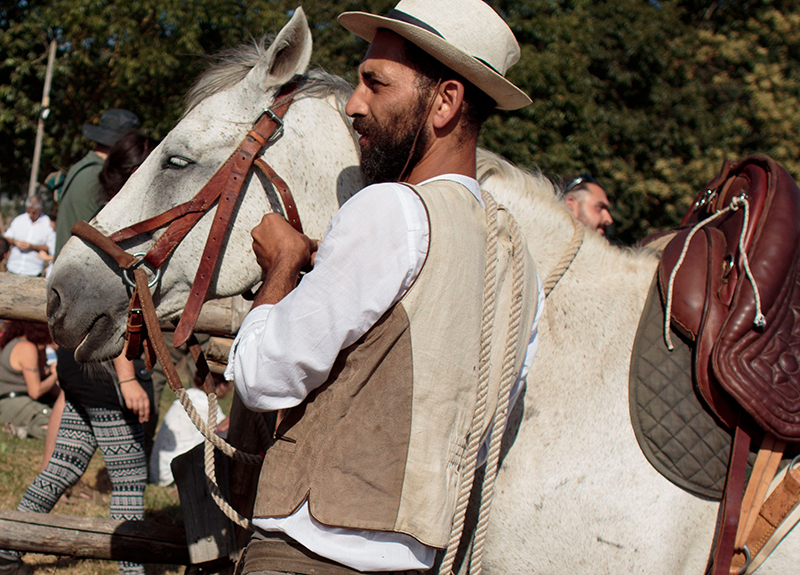 We have built a village where farmers, disables, horses and nature work together, respect each other, and feel good. You are welcome to join us! 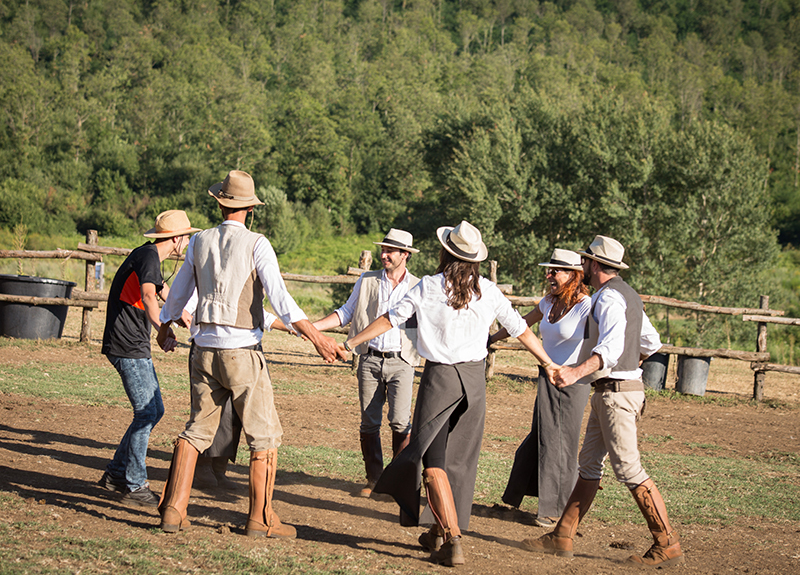 The idea of ​​the “Buttero Contemporaneo” project stems from the belief that maintaining a link with one’s own origins and developing a sense of healthy belonging and knowledge of one’s own history is fundamental for living the present fully and building a sustainable future. 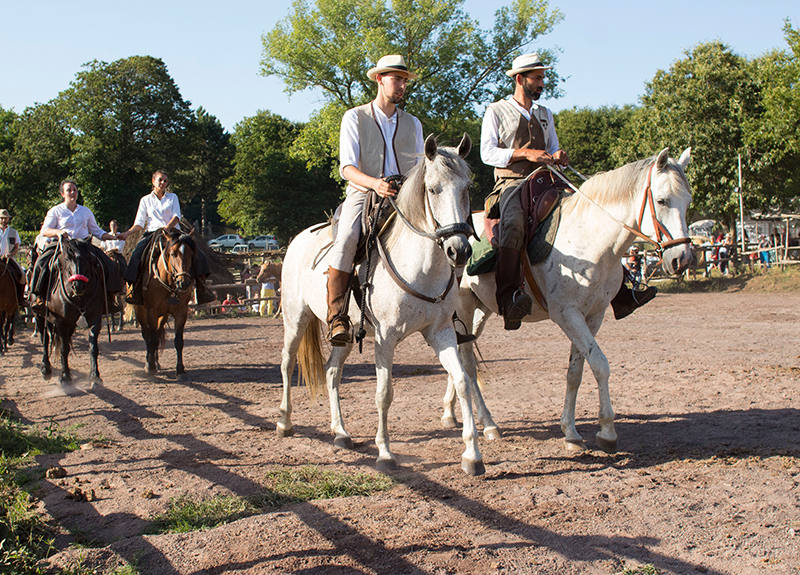 Hence the desire to reinterpret a professional figure of our tradition: “the buttero” (similar to the american cow boy) that, in a contemporary key, becomes a vehicle to enhance the territory and its culture. 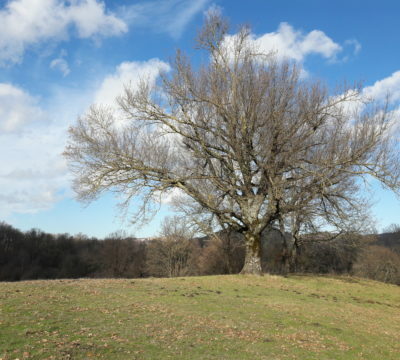 Immersed in the nature of the Castelli Romani park, our village is 10 hectares big. Here more than 40 horses live. There’s a big house were you can find facilities and a big table to share meals outside in the warm season! We’ll pick you up at the meeting point to reach the farm (about 20min driving) that is situated in the wildest part of the park. During the transfer we will give to you some information about our territory about Latium Volcano and Castelli Romani Regional Park. 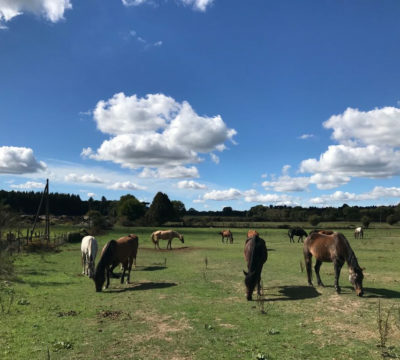 At the farm you will have an intense “horse-relationship”, it will be helpful to understand our philosophy and to keep in touch with our unique herd. 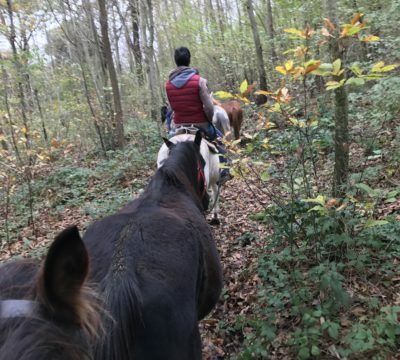 Than, you will have other activities based on your interest and skills; you could take care of foals, breeding duties, move the herd, search for medical herbs or have a wonderful ride in the wood. 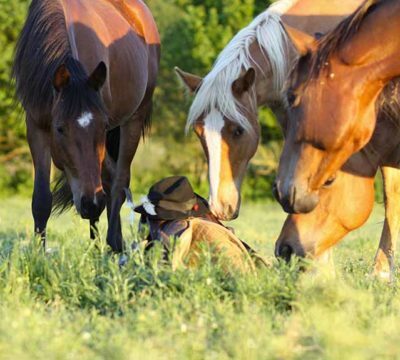 At the end of the day you will know there’s another way to approach horses and others. 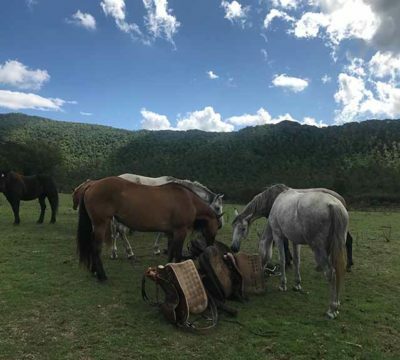 We will provide all horse equipment, just dress with comfortable clothes (warm during the winter) which can be dirtied, horse boots or trekking shoes. Take your camera, sunscreen and a cap for the sun. 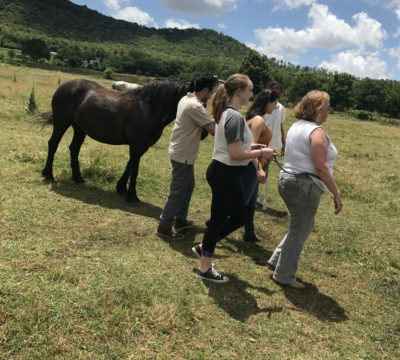 We are implementing a project called “Equiazione Village an human-animal relationship sanctuary”. This will be a workplace for disabled people and an opportunity for horse owner to live their horse in a natural way. Your contribution will be used for building materials, wood and horse breeding. We also offer half-day, morning or afternoon experiences depending on the season. We create ad hoc offers for groups of all ages. The Festival is an opportunity that we created to celebrate the project of contemporary buttero. Follow us to know the dates of the third edition of the event! 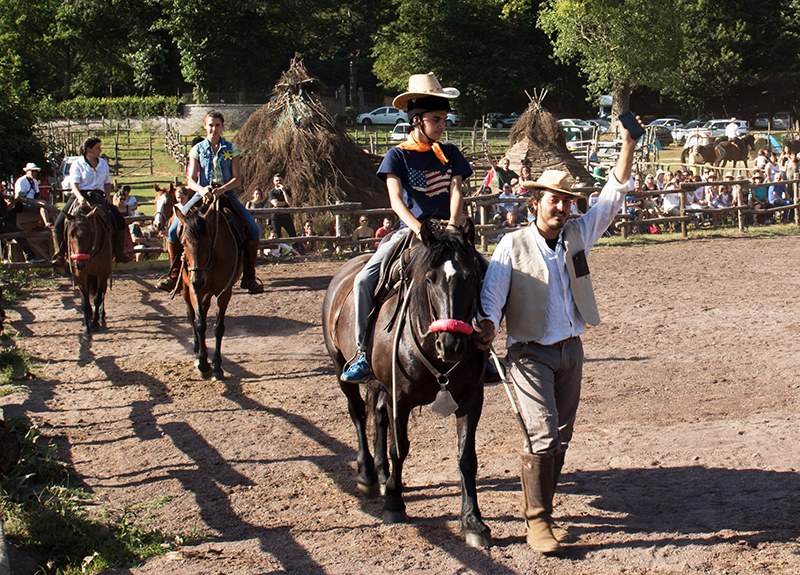 We could spend together a day full of activities, carousels, workshops, concerts!